Relax. Knit something for yourself. Happy New Year! Yarn from your stash. These shawls can be knitted with any any yarn. I’ve used cotton, angora, mohair, qiviut, merino… Any colour(s) you like – though I prefer solid colours for lace knitting. Long circular knitting needles. Maybe a set of dpns too. 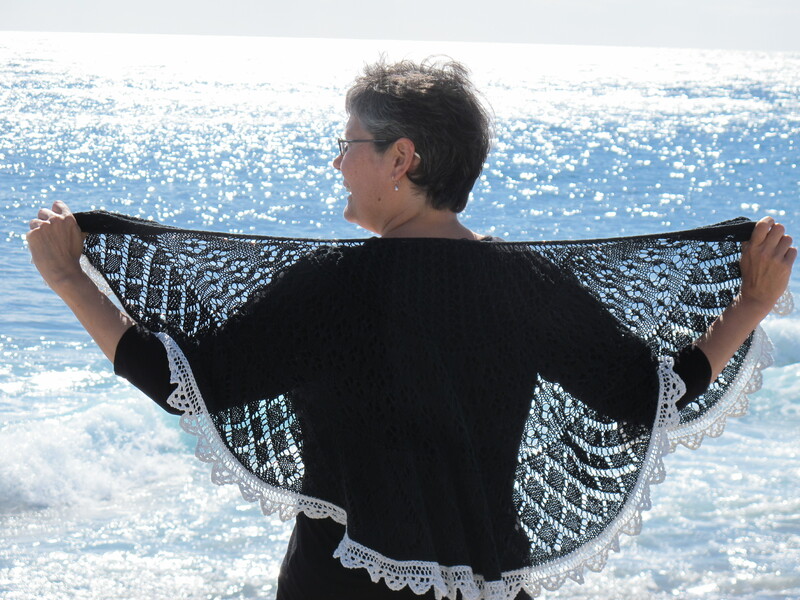 The Open Source Shawl is knit top down, from the center of the nape, with increases on every other row plus a few increase sections. I’ve chosen easy lace patterns – the patterns are knit on the right side only, all wrong sides are purled – and they are easy to memorize. 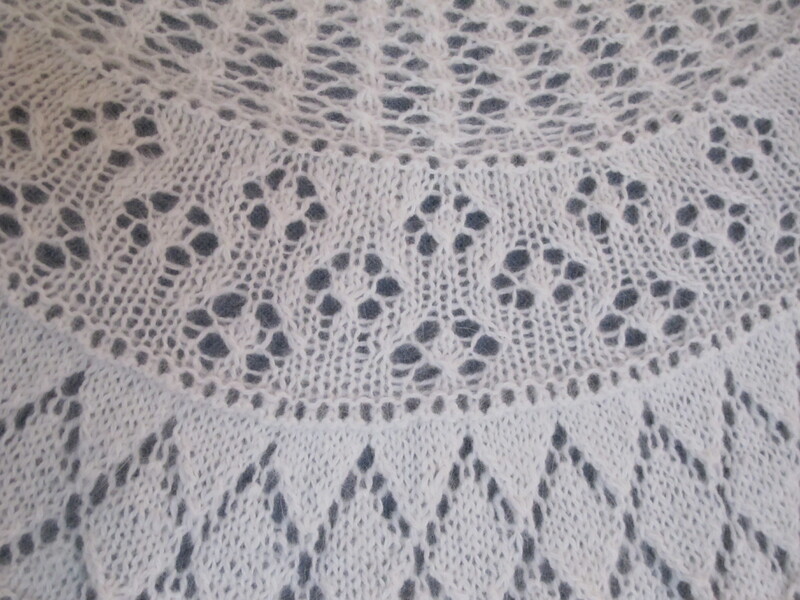 Sivia Harding has written a beautiful piece on lace knitting – go read it! Cast on 3 stitches; knit 20 rows. Pick up and knit 10 stitches from the vertical edge of garter stitch, then 3 stitches from the cast on edge (16 stitches). I use dpns for this bit, then switch to a circular needle. As you increase on every other row, the edge has to be tweaked a bit to fit to the pattern – please see the chart on how to fill in the gaps! 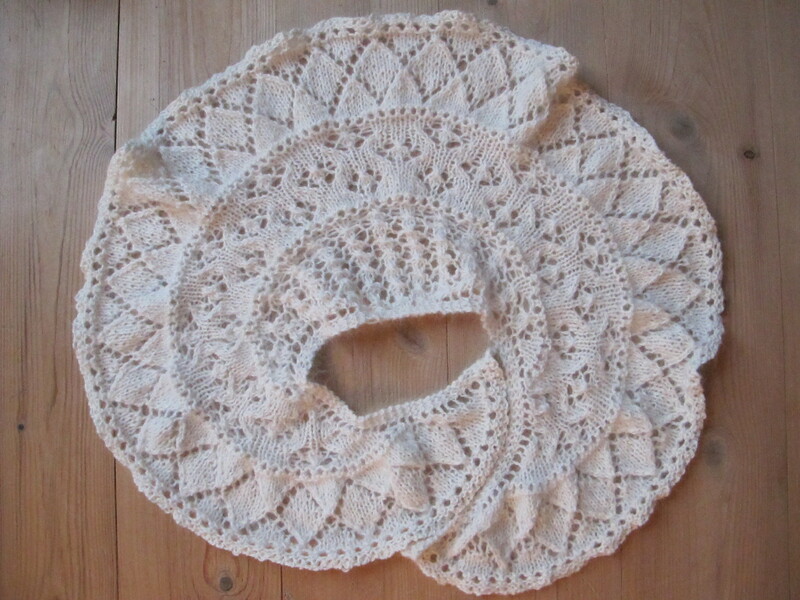 Pick any lace pattern you like and knit a section of this. 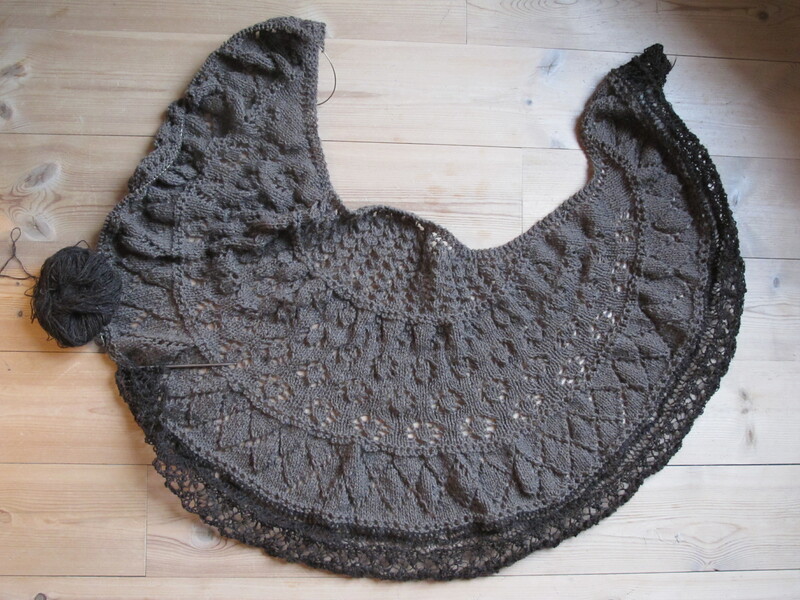 Continue to increase on each side of the shawl by knitting the edges with yarnovers. Add another increase section and maybe even another lace section. 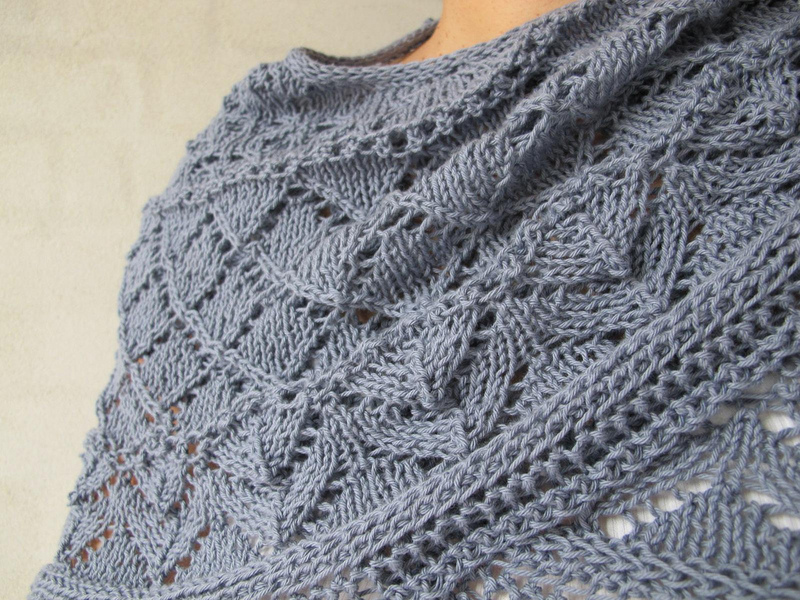 Knit until you run out of yarn and then finish the shawl off with a knit-on lace edging. More on that later! Or just bind off loosely after an increase section. 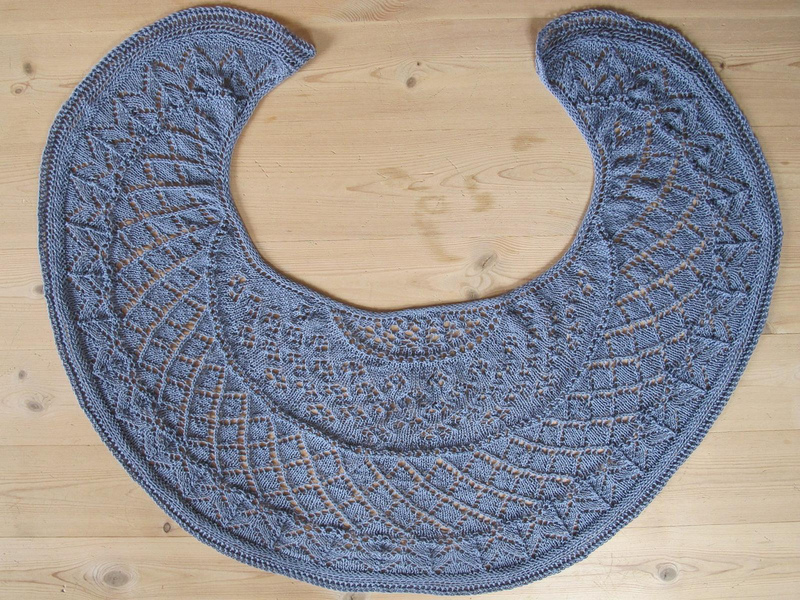 Depending on the yarn you may want to block the shawl – if you use cotton yarn blocking is not necessary. This is a recipe – make it your own! You can use any kind of lace pattern, one or many, simple or complex, or a combination. 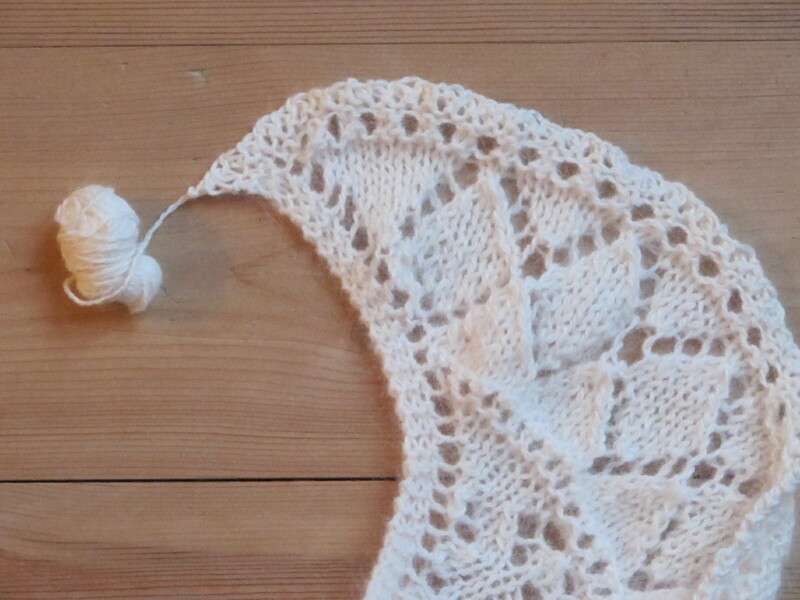 If you don’t feel like making a lace edging, don’t. Sizing up? Keep knitting until you run out of yarn or can’t bother to continue. 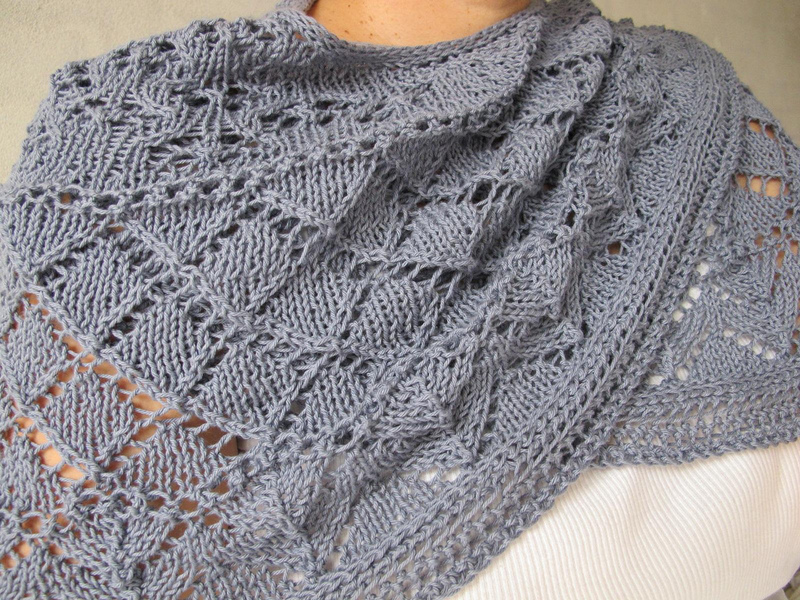 Open Source Shawl is licensed under a Creative Commons Attribution 3.0 Unported License. Based on a work by Lisa Risager. 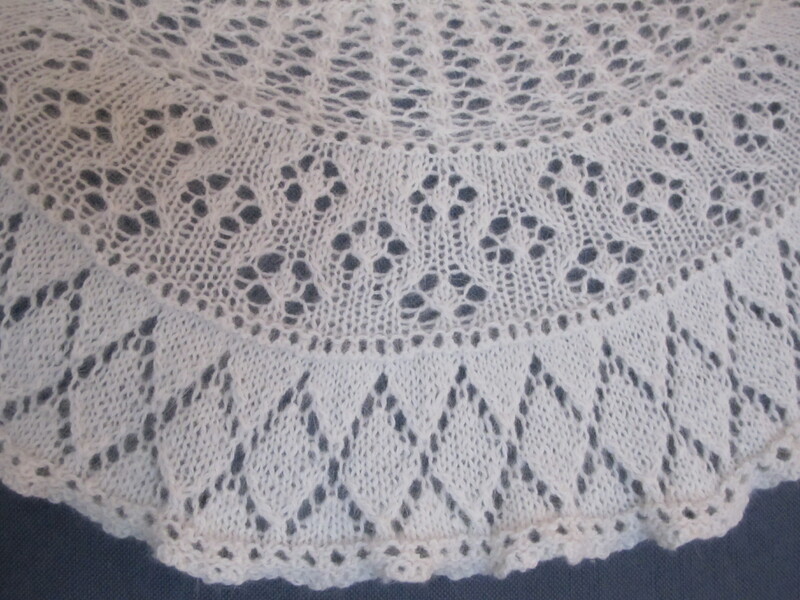 This entry was posted in Free patterns and tagged Chocolate Pudding, Open Source Shawl. Bookmark the permalink.